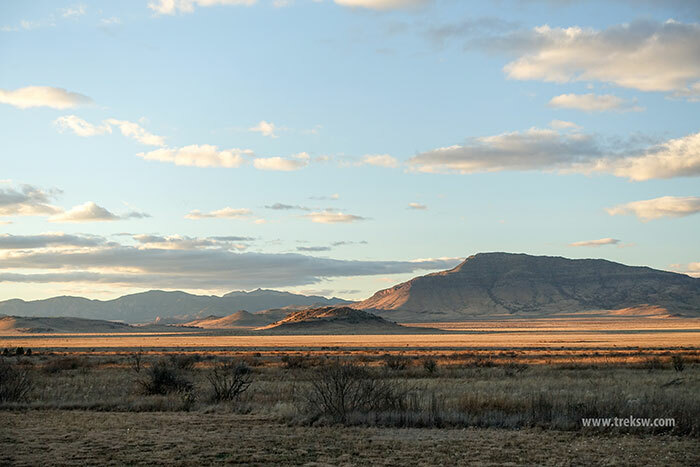 The Davis Mountains of West Texas sits directly in between the Guadalupe Mountains Range and Big Bend National Park, lying primarily in Jeff Davis County. The Davis Mountains are considered a “sky island” due to the climate of the area varying dramatically from the surrounding Chihuahuan Desert. 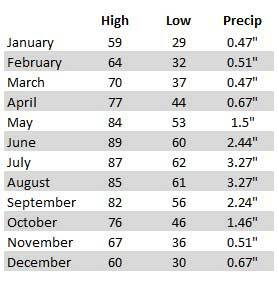 Precipitation up in the mountains averages approximately 18 inches a year compared to 9 to 12 inches in the desert. The elevation also helps to keep the climate fairly mild for most of the year. Keep in mind that it can still get fairly hot and is a dry climate. If you plan on hiking or doing any other strenuous activity, you’ll need to bring plenty of water and should dress appropriately. Davis Mountains State Park – Just a little over four miles North of Fort Davis, Texas. Davis Mountains State Park is the home of Indian Lodge Hotel and the Black Bear Restaurant and offers RV and tent camping sites, along with miles of hiking trails. Balmorhea State Park – The Oasis of West Texas. 1.75 acre, 3.5 million gallon spring fed pool that stays 72 to 76 degrees year around on the Northeast side of the Davis Mountains. Madera Canyon Trail – Sits about 24 miles North of Fort Davis, past Davis Mountains State Park. Hidden at the Lawrence E. Wood Roadside Park, deep in the heart of the Davis Mountains, most people pass right by this trail without even knowing it’s there. Provided free of charge to visitors by the Nature Conservancy, as part of their Davis Mountains Preserve. McDonald Observatory – McDonald Observatory is one of the biggest attractions in the Davis Mountains Region of Texas. It brings in visitors from all over the world to looks at the stars in one of the darkest and clearest skies in the continental United States. Fort Davis National Historic Site – With the entrance right in Fort Davis, this is an easy stop and interesting history lesson on why the town of Fort Davis sits where it does. It also offers a couple of hiking trails, with one even leading right into Davis Mountains State Park. The Hotel Limpia – Beautiful historic hotel sitting in downtown Fort Davis. Includes lots of balconies to relax on, a well manicured courtyard, and the Blue Mountain Bistro and Bar (the only bar in town).